I have noticed that in all of the new V2 beta versions the geometry doesn't smooth out like it did in 2.18. The top rendering is from 2.19.011 and the bottom is from the last 2.18 version. I am using SU 2015. 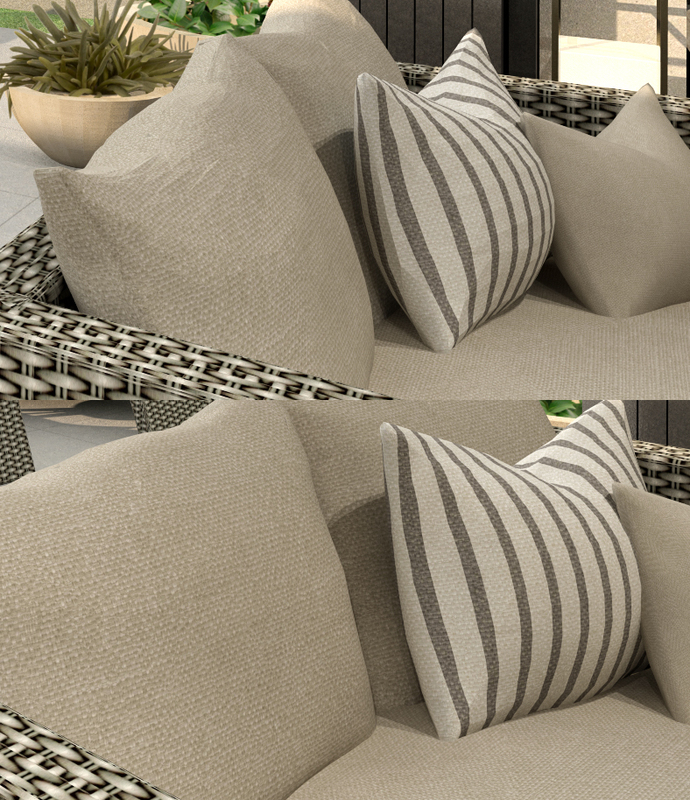 As you can see the top striped pillow is looking very wrinkly compared to the perfectly smooth rendering on the bottom. It seems to only happen to certain geometries, although all of the pillows are cranked way up on the soften edges menu the pillow in the top image which is resting on the striped pillow is very smooth unlike the wrinkly striped pillow. HI there, yeah we know. It happens when geometry is scaled. If you explode and regroup it should be alright. It can be a component.